The famous archaeological site of Peristerias is an imposing landscape next to Kyparissia after passage Backs, which archaeologists call “Mycenae Western Peloponnese” for the wealth of findings and size of the buildings, which date back to the 2nd millennium BC. To date, the main findings of Peristeria is 4 vaulted tombs, part palace and many homes. The tombs of hiding inside the many objects, such as jewelry, household items, etc. which are exhibited in the Archaeological Museum of Chora. Discovered by archaeologist S. Marinatos 1960. 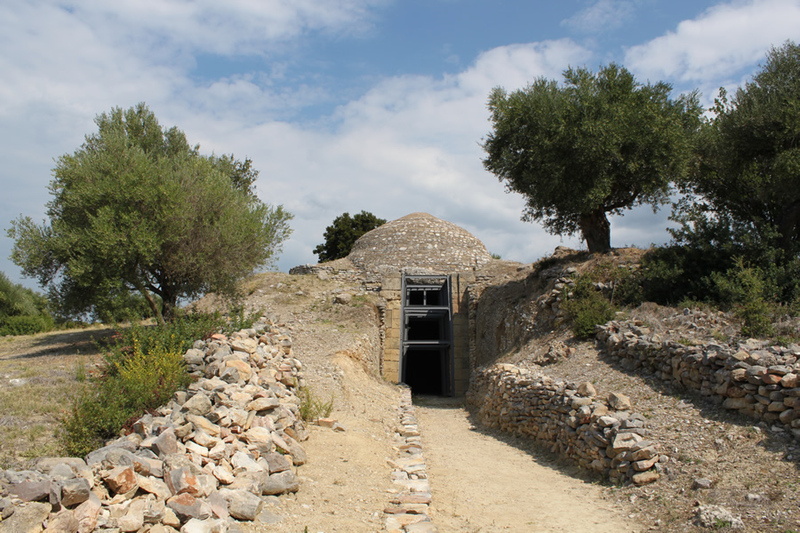 Today there is the view that one of the three domes (largest) can still belongs to the legendary Nestor king of ancient Pylos! Preserved in very good condition. Presents unique properties that we cannot explain with known physical laws … as only amplifies the human voice and even filters out high frequencies! Creates many harmonics and lose the original audio source! The acoustics in the space is perfect and can s hear the slightest whisper as the Theatre of Epidaurus! All the properties of the vaults and reveals you why over Christian churches built domes with him most of Hagia Sophia in Istanbul! Do not think at all! Making the bypass and you will be compensated. Do not wait any crowd. The place is gorgeous. During the warmth of summer, trees and tranquility create the most beautiful Mediterranean atmosphere. On the right side of the area passes the path which leads to the Arcadian river and the canyon is just next to such a green and truly amazing scenery worth visiting. The hours of operation of the site are from 8.30 to 3 pm daily except Mondays.